Two exciting topics in this newsletter! 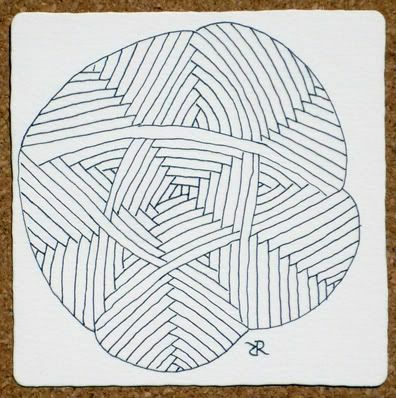 There is a new study about Zentangle as a mindfulness activity and we'd like you to participate. We have a new tangle, BUT . . . we're going to challenge you to figure out how it's done AND name it. We were so inspired by the results of a recent study by Dr. Meredith Yuhas and her assistant, Allyson Cooper, that we want to ask you to help out with another research project of theirs. 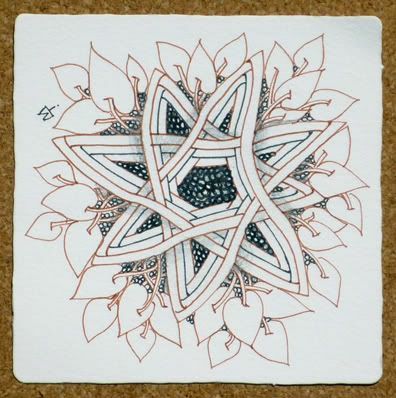 Dr. Yuhas wants to collect information that can help us further understand how people use Zentangle, including as a mindfulness activity, and gain further insights into the benefits of using the Zentangle method. 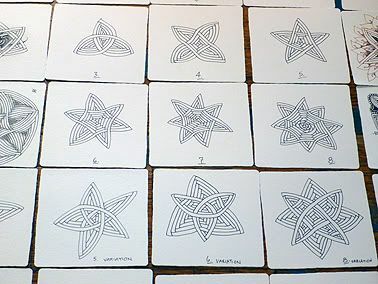 "Mindfulness" is that state of relaxed focus that almost immediately occurs when you create something according to the Zentangle method. With Zentangle, you can deliberately shift your attention into that beneficial inner stance without medication or doctrine. "Mindfulness means paying attention in a particular way; on purpose, in the present moment, and non-judgmentally." 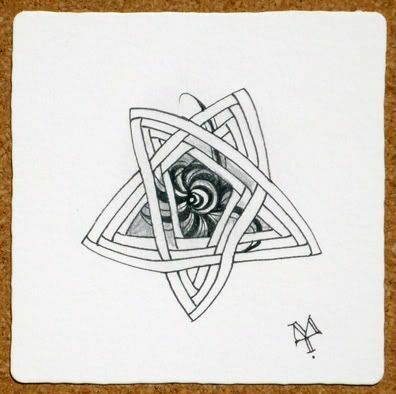 In other words, even if you never heard the term "mindfulness" you've probably experienced it if you've created Zentangle art. This survey is anonymous and should only take about 5-10 minutes of your time. If you'd like to participate please to to this link. This survey will close on Friday, August 31, 2012. Here's a switch! With this new tangle we're not going to tell you how it's done. We'll do that next week. In the meantime we're challenging you to figure out its steps. 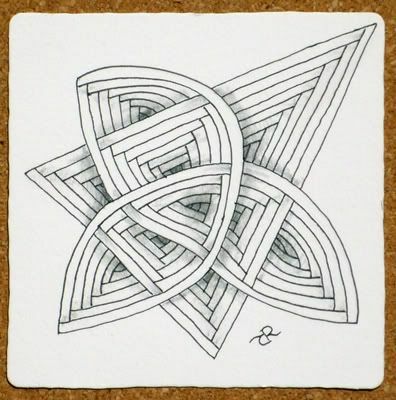 This is a versatile tangle with the possibility of 3, 4, 5, 6, 7, 8, or any number of "corners." No matter how many corners, the steps are all done exactly the same way. Can you figure out how? 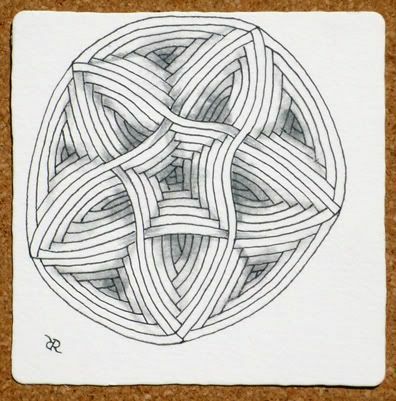 There are no grids, no dots, no pencil, no eraser, just pure Zentangle magic . . . one stroke at a time. Here's a closer look. This isn't even half of what we've been exploring! Here are a few close-ups of ones we've done. 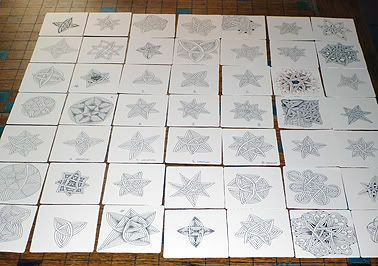 Many of these are variations and expansions of the original tangle. To submit your tangle steps . . .
To submit your tangle name . 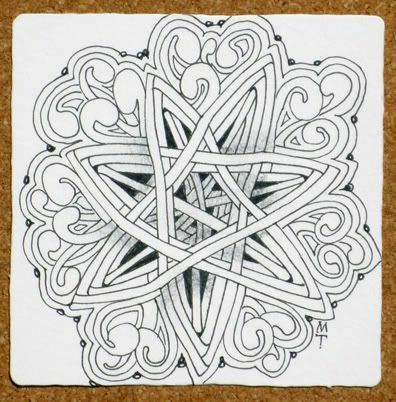 . .
Again, go to our blog, "New Tangle _____" and post your suggested name for this tangle. Sue and Nancy will pick their favorite name. 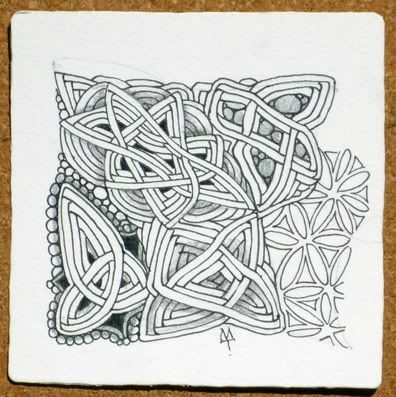 We'll also send a Zentangle Coaster Set to whoever suggested the winning name (again, if we can contact you). 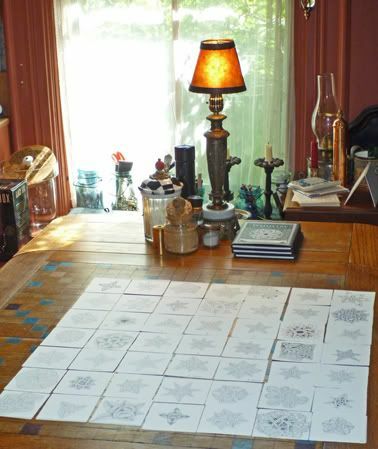 We've posted some of these images at a larger resolution on our blog entry "New Tangle _____". Thanks for participating in this study, and for playing with this new tangle. We'll post the winners and full instructions (and name!) of this tangle in a newsletter next week.